In the works of modern philosophers and novelists and even in the lyrical stylings of folk icon Bob Dylan, the question of authenticity lingers in the background of our search for meaning and truth. In A Nation of Outsiders, Grace Hale seeks to explain how and why white Americans in the second half of the twentieth century became enamored with the romance and rebellion of the outsider. 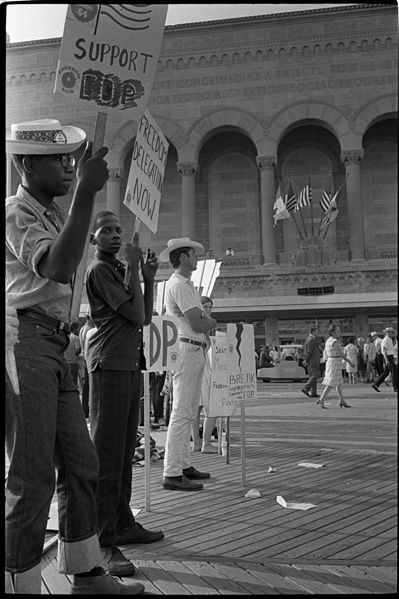 Hale uncovers how white middle-class youths of the 1950s and 1960s acquired meaning and freedom in their everyday lives through the cultural, social, and political appropriation of marginalized American people, such as African Americans. The perceived authenticity of black Americans fascinated the white youth disillusioned with the phoniness of capitalist culture, state-sponsored violence, and the expectations of their parents. Hale’s most effective case studies include her chapters on the beatniks, blues followers, New Left Marxists, and folk revivalists who participated in the prevailing counterculture of the 1960s and the creation of their own culture of cool. These groups simultaneously exploited the music, culture, and experiences of black Americans to assuage their own anxiety and yearning for self-determination and authenticity. Hale points to J.D. Salinger, Jack Kerouac, Elvis Presley, and even Bob Dylan as examples of this appropriation of authenticity where white Americans crafted new identities in accordance with the experiences and culture of the oppressed black community they hoped to emulate. Similarly, Hale illuminates how white members of the New Left participated in the Civil Rights Movement out of more than political solidarity. Many white New Left members viewed the movement as an opportunity to transform their own lives into something meaningful and romanticized the Southern experience of black Americans as authentically beautiful. Hale’s book investigates a historically relevant question of how and why white Americans romanticize and appropriate the experiences of the outsider to find meaning and freedom in their own lives. The romance of the outsider has never left white middle class American minds and Hale’s work uncovers the damage this romanticism has had on material efforts to achieve equality. White fantasies of the black experience allowed the disillusioned white middle class to forge an imaginary bond with the “outsider” and thereby solidified their own status as outsiders as well. However, this one-sided bond that occurred in the white imaginary prevented white Americans from working with actual Africans Americans to achieve equality. 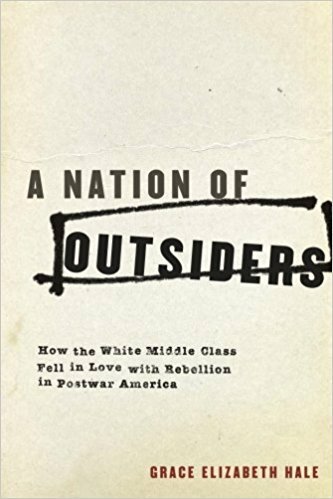 This romanticism of the outsider, while it served the yearning of unsatisfied white Americans, did nothing to combat the oppression and inequality the actual outsider faced in the 1950s and 1960s. Hale’s last chapter echoes an even graver political threat that dominates American electoral politics – the widespread adoption of the ideology of the oppressed outsider by overwhelmingly non-oppressed groups. The adoption of this identity of outsider has evolved since the 1960s, but has been a staple in parts of the New Right and conservative politics for decades. Just as evangelicals in the 1960s and 1970s entered the political sphere as outsiders with a mission to reclaim the moral issues liberals of the era politicized, Tea Party activists and recent Donald Trump supporters have also declared themselves outsiders aiming to recover the “truth” in a world dominated by lying liberals, power hungry elites, and news media phonies. A Nation of Outsiders opens the door to further analysis concerning the political viability of the ideology and identity of the outsider in white politics. Scholars must be aware of how political candidates and their constituents romanticize the notion of the outsider as it provides insight into voters’ perceptions of their social, political, and economic place in the world. What drives this alienation of members of the white middle class? How have they come to understand themselves as outsiders, oppressed, and marginalized in a world where their economic resources and political power indicate otherwise?